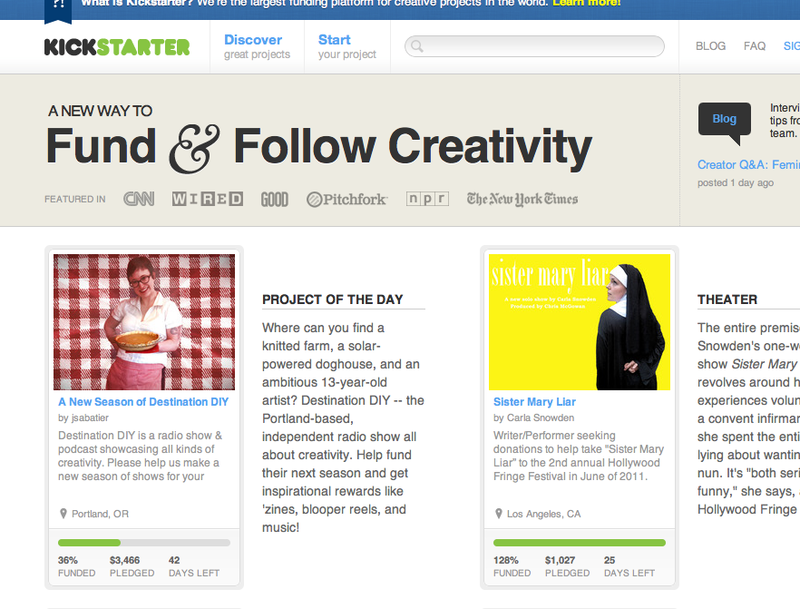 I came across Kickstarter via WIRED magazine. 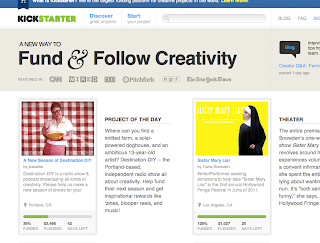 In WIRED's April 2011 issue they did a feature on Kickstarter. It is a website where if you have an idea/project/concept you can get people to donate to your project and get funding to finally see your vision come to fruition. I know many artists, designers, and inventors who could be well served by this site. Get your video together and see if people like your project enough to help you out. Good luck!